These surface mount components are factory fitted, but you still get to choose which headers you want to solder on, to make it your own. 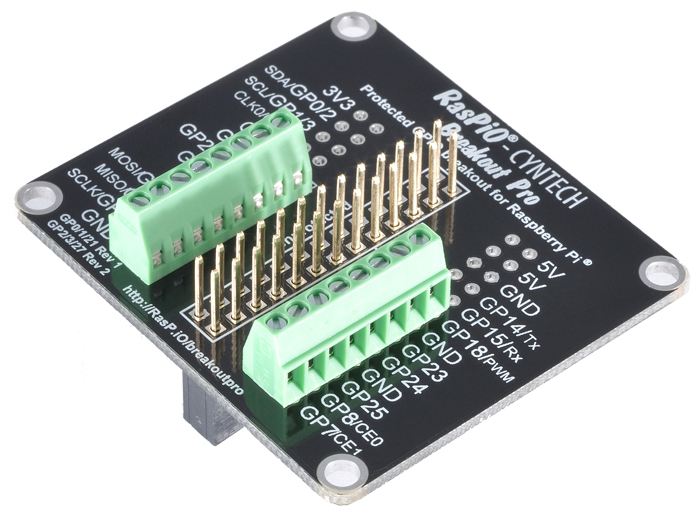 RasPiO® Breakout Pro also allows you to connect pretty much any kind of wire to any GPIO pin on the Raspberry Pi®‘s main header. RasPiO® Breakout Pro also reduces the chances of wiring errors because you can clearly see which pin corresponds to which port. 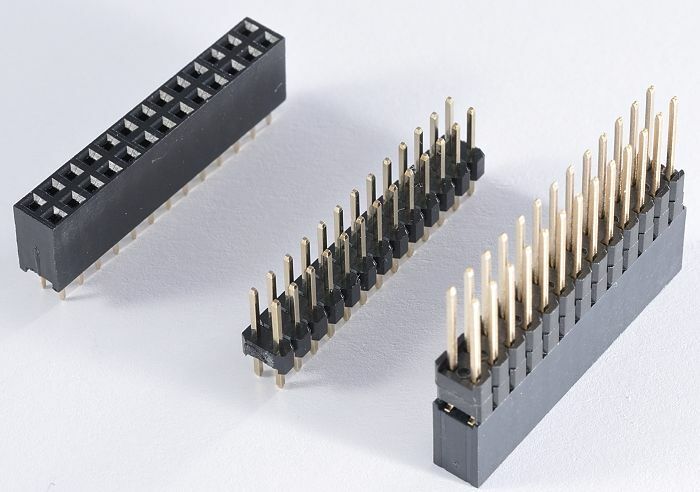 You don’t need to consult a pinout chart or count “X pins up from the bottom-right pin”. This means your circuits are more likely to work first time and you’re less likely to damage your Pi or attached electronics. 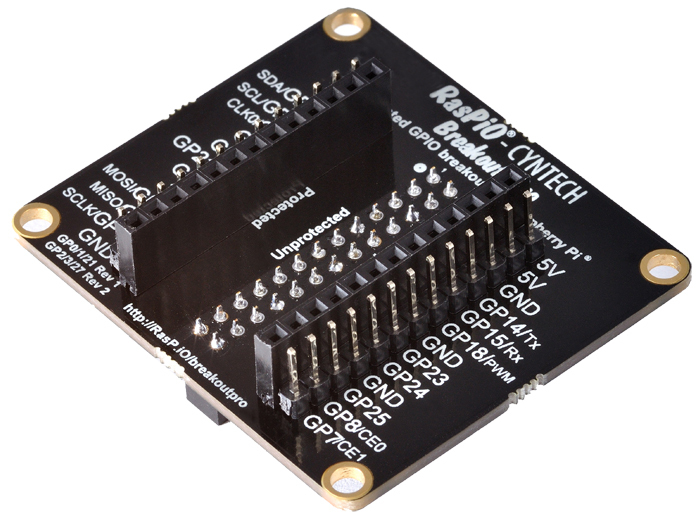 RasPiO® Breakout Pro shows both GPIO numbers and alternative functions of the P1 header pins. The board needed to be a little bigger to fit the extra labels on, but I think it’s worth it. It’s good to have all the information in front of you when choosing which ports to use. 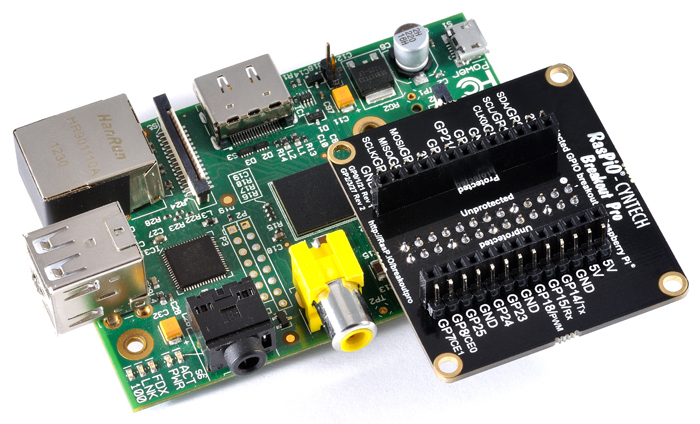 RasPiO® Breakout Pro has labels for both Rev 1 and Rev 2 Raspberry Pi. There’s also a little ‘aide memoire’, at the bottom-left of the board, to show the differences. RasPiO® Breakout Pro is supplied with a standard female socket header. But you may choose to assemble it differently. I’ll show you some other options below. If you choose to use a stacking header (available as an extra), you can have both protected and unprotected access to the ports. If you want to bypass the protection for some reason, this can be useful. But if you don’t want to enable that, just use the standard header provided. * for attachment underneath, the ribbon cable needs to have an IDC male connector at one end to avoid reversing the pinouts. RasPiO® Breakout Pro also has mounting holes. 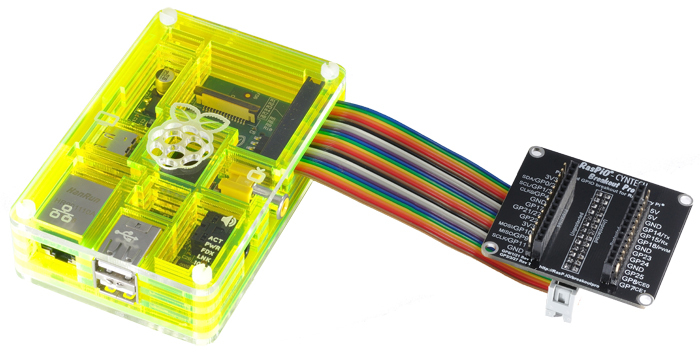 So you could use it with a ribbon cable and mount it somewhere not on the Pi. 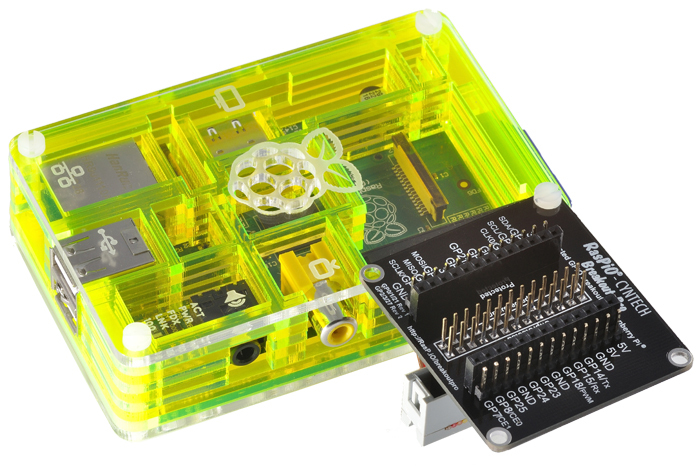 I expect most people would prefer to mount it on the Pi, but you have the choice. Use With LEDs, Motors etc. already has a 330 Ohm resistor protecting it. This is explained a bit more in the video, which also shows use with motors. 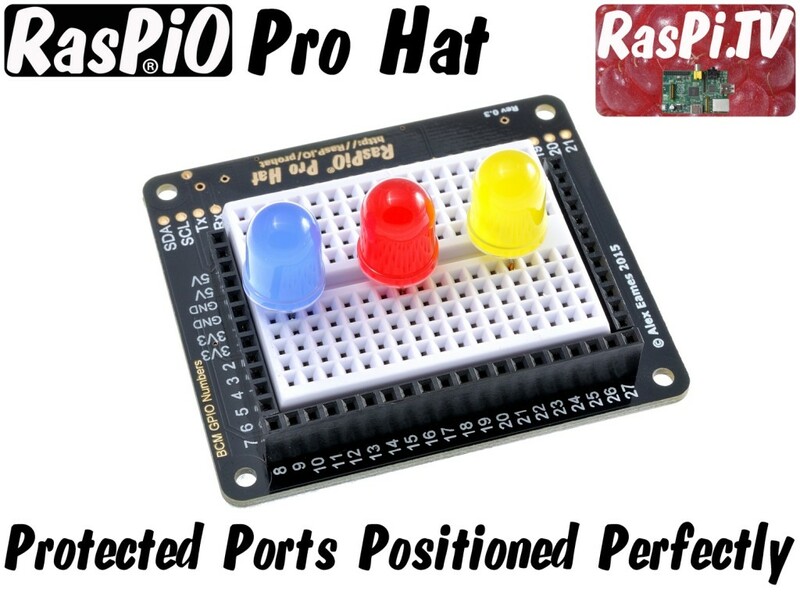 RasPiO® Breakout Pro has onboard port protection. If you don’t want or need that, you might be better off with the RasPiO® Breakout, which is a slightly smaller version of the same board without the port protection circuitry. 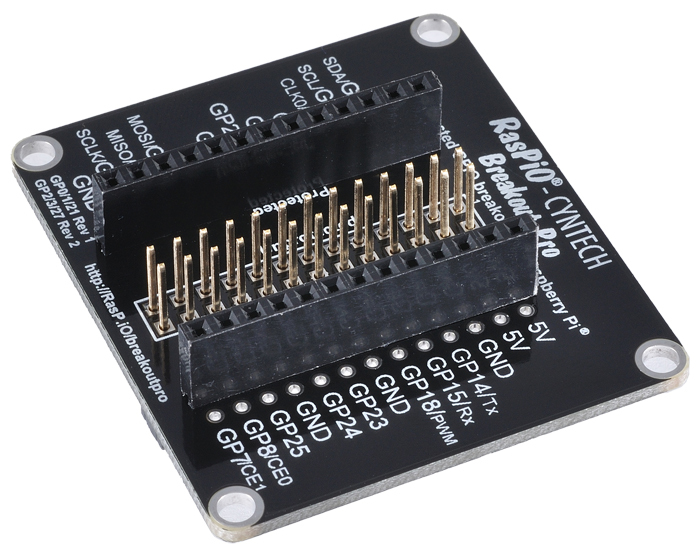 You can use the RasPiO® Breakout Pro bare board as a port identification aid, but if you want to do that, you’ll probably be better off with the RasPiO® Port Labels Board, which is designed with that use in mind. How Does RasPiO® Breakout Pro Work? Solder the main central 26-way female header underneath first. It should go on the same side as the surface mount components, but you solder it from the other side. You may choose to vary how you assemble the RasPiO® Breakout Pro according to your personal preference. 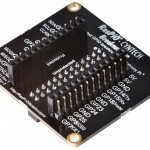 Download the RasPiO® Breakout Pro assembly instruction leaflet (printable PDF). What’s in the Kit and How Do I Put it Together?